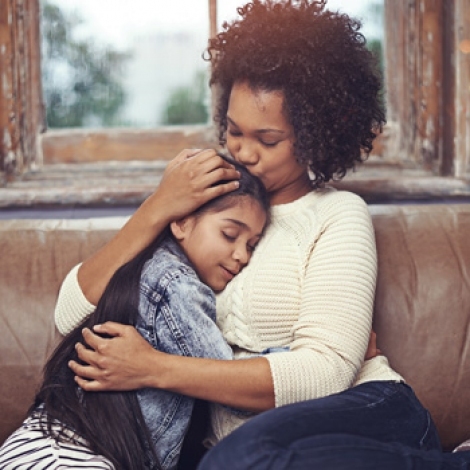 As one example, sharing a hug with a loved one has been found to boost immune system responses, help fight disease and increase overall health, according to an article published by The Guardian. Hugs increase serotonin, which is the body’s natural antidepressant, can be a natural sleep aid and help reduce stress and anxiety. However, according to the article, hugs are on the decline. Among the reasons for this decline in hugging are busy schedules, and the prevalence of technology extending the workday into time spent at home. It can be hard to focus on personal connections when work follows you home in your pocket. At times, it seems there are stronger connections to mobile devices than family members sitting in the same room. There is a simple solution, though. In honor of National Hug Day, you can get back to showing love through the simple act of hugging. With the help of its mascot, Sey more Good, Tree Top encourages everyone to “squeeze the day” and acknowledge goodness in others by sharing a meaningful, honest hug . The grow e rowned fruit cooperative that uses simple ingredients and real fruit also introduced innovative clear applesauce pouches that let parents “See the Good” in what their kids are eating before they eat it. Keep it real. Avoid superficial hugs or giving a hug just out of habit. Instead, try focusing on the hug and giving it with purpose, as an expression of friendship. Squeeze hard, but not too hard.